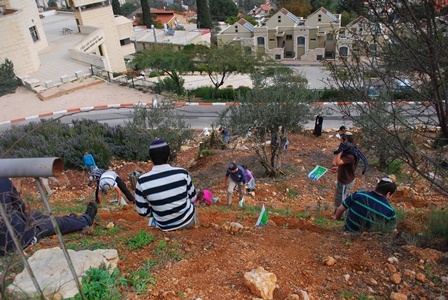 Tu B’Shvat is an annual celebration at the Yeshivah when Hesder students, Rabbanim and the Rosh Yeshivah wind their way up and down the adjacent (presently muddy!) 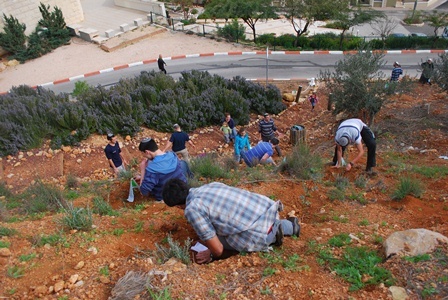 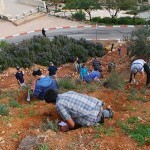 mountain to plant trees in honor of this special, very-Israeli day. 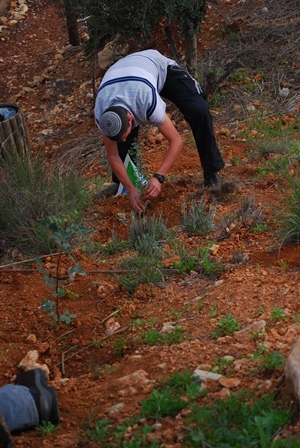 Over the years, in spite of the devastation caused by fire from Katyusha bombs during the 2006 2nd Lebanon War, the Naftali Mountain Range has flourished as a result of this effort, which takes place in full coordination with Keren Kayemet LeYisrael. 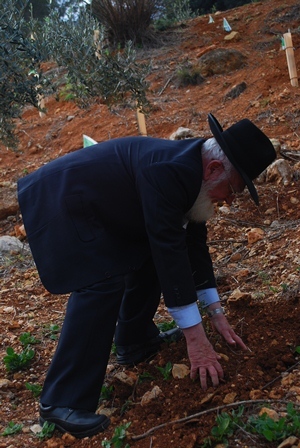 Trees have also been planted by groups and individuals visiting the Yeshivah, some in memory of a loved one. 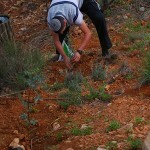 It is an emotional experience for everyone. 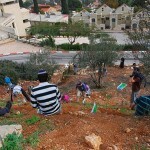 Contact the overseas coordinator (details on this site) if you’d like to be part of this project. 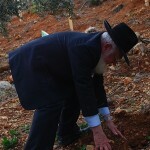 The Rosh Yeshiva, Rav Drori, planting trees on Tu B’Shvat.